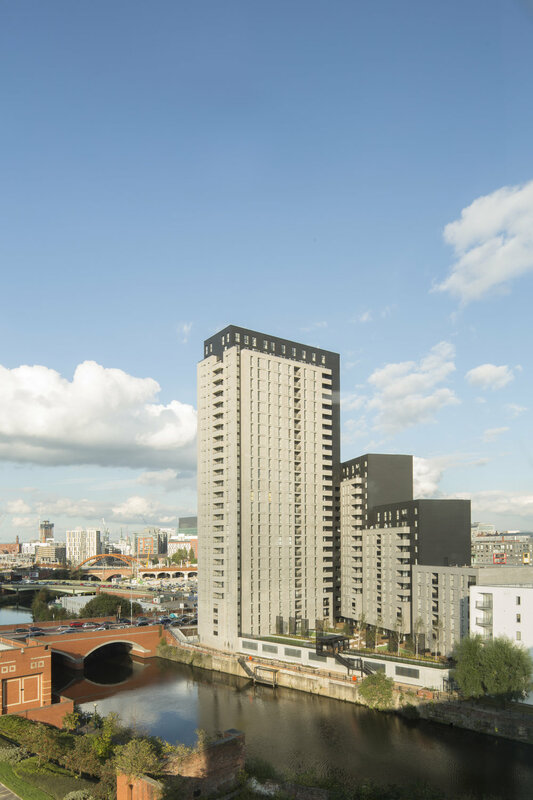 The Alto development is located off Chapel Street, Salford and consists of 4 distinct a-symmetric blocks which punctuate the skyline rising between 6 and 18 storeys. A total of 327 no. one, two and three bedroom apartments have been designed to maximise usable space and to make the most of natural light with full height windows to most rooms. A number of apartments enjoy private balconies and penthouses to the upper floors have private roof terraces. The scheme incorporates an attractive landscaped courtyard with illuminated water features.